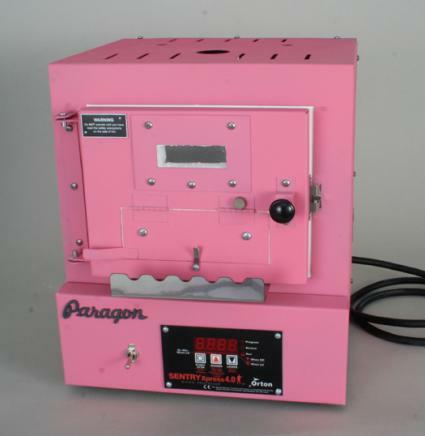 great discounts on all Paragon Kilns. technical support, best kilns and/or specific shipping needs. kiln on the way to you - or come on in to our showroom and let us help you select just the right kiln for all your firing needs! Please note: Kiln Furniture Kit sale prices below are priced based on buying the Kit at the same time of Kiln purchase. Prices will be more if bought separately. 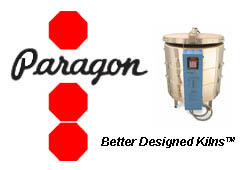 When you buy a Paragon Kiln from American, we help with kiln prep, test fire, cone results and firing schedules. 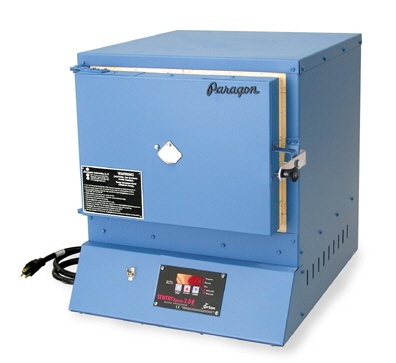 All kilns listed below are priced for 240V, single phase - unless noted as 120V. Q series and BlueBird kilns in these fantastic HOT Colors! 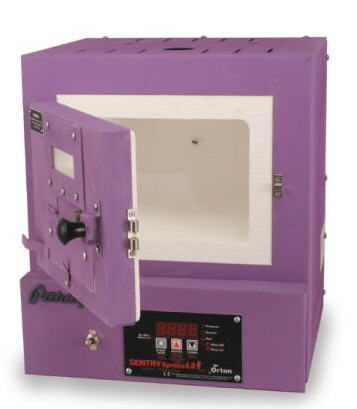 The Q-11A kiln fires rapidly to 2350F. Create breathtaking jewelry or small keepsakes using almost any medium you can imagine: enameling, china painting, glass, lost wax casting, ceramics, stoneware, and porcelain. Since the kiln opens from the front instead of the top, it is ideal for copper enameling. 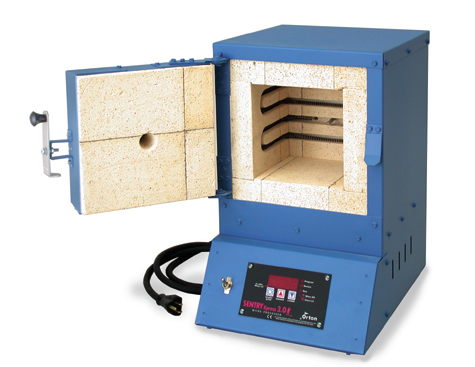 The Q-11A kiln comes with an infinite control switch, safety pilot light, and pyrometer (temperature sensor). The pyrometer simplifies kiln operation. It shows you what is happening inside the kiln and helps you to become comfortable with firing. By watching the pyrometer and adjusting the switch, you can even hold (soak) the temperature. The E-9AX fires to 2000°F, the E-10A and the E12’s fire to 2250°F on a common 120 volt wall outlet. Create breathtaking jewelry or small keepsakes using almost any medium you can imagine: enameling, china painting, glass, lost wax casting, and ceramics. 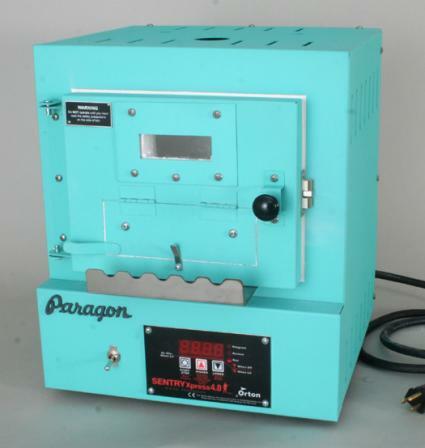 Since the kiln opens from the front instead of the top, it is ideal for copper enameling. They all three come with an infinite control switch, safety pilot light, and pyrometer (temperature sensor). 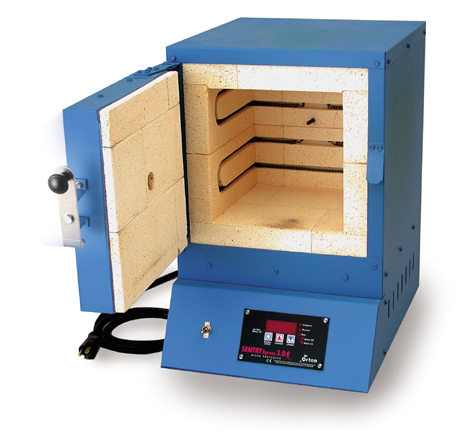 The pyrometer simplifies kiln operation. It shows you what is happening inside the kiln and helps you to become comfortable with firing. By watching the pyrometer and adjusting the switch, you can even hold (soak) the temperature. The switch, pilot light, and pyrometer are mounted in the kiln base (instead of a side switch box) to save table space. The front control panel is tilted for easy operation. they become a TnF version of that kiln.